When their child is first diagnosed with diabetes, parents might spend a lot of time thinking about the disease’s physical effects. But emotional issues also come with a diabetes diagnosis, and these can affect how kids cope with the physical aspects. So it’s important for parents to recognize the feelings that kids with diabetes might experience and learn strategies to help them. Isolation. Diabetes can make kids feel different from peers, friends, and family members. Kids who don’t know other people with diabetes or are the only student who needs to visit the nurse for injections or blood tests during school might feel isolated or alone. Denial. Because kids want to blend in or be like other kids, they may sometimes pretend that they don’t have diabetes, which can be dangerous if they avoid blood sugar testing and medication. Depression. Feelings of depression, sadness, and hopelessness are common among kids with diabetes. A child may cry a lot, feel exhausted, have changes in eating or sleeping habits, or have a hard time sticking to the diabetes management plan because he or she is depressed. Guilt. Some kids may feel like diabetes is their fault or like they’re causing problems for parents, siblings, and teachers because of their diabetes. Anger, frustration, and resentment. Your child might be angry at you because you oversee testing and treatment, in addition to being frustrated by the diagnosis. Many kids resent the restrictions that diabetes can place on their everyday activities. Fear and anxiety. Blood sugar control problems, needles, and the potential for long-term health problems can be scary for kids. And in some cases, fearfulness can be the result of incorrect information they receive about diabetes. Embarrassment. Kids with diabetes might be embarrassed about the extra attention they get, like when they’re testing blood sugar and injecting insulin at school, at friends’ homes, and in front of other kids. Dependence. When kids find out they have diabetes, they might begin acting younger than their age and depending on parents more than their peers. The progress that they’d typically be making toward self-reliance can stop or reverse course. 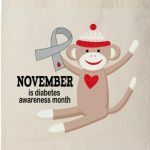 Parents often go through a grieving process when they find out that their child has a disease like diabetes. It can be difficult to come to terms with the idea that a child has a chronic condition that will need to be managed for the rest of his or her life. It’s normal to feel grief and sadness. Many parents also feel guilty about their child’s diabetes and wonder if they could have prevented it somehow. Some parents also might feel unsure about taking on the tasks of caring for a child with diabetes, such as administering medications and helping their child follow a meal plan. It’s also common to worry about recognizing symptoms of a diabetes problem and getting the right medical help. What can you do to cope with your own feelings? First, don’t hesitate to get the answers to your questions from the health care professionals caring for your child. Educating yourself about diabetes and the best ways to manage it can help put your mind at ease. Also ask your child’s doctor for information and tips on coping with your child’s emotional issues. It’s important to attend to your own needs as well as your child’s. When you can, let others — like relatives and friends — share the responsibilities of caring for your family. Remember that you can’t do it all. When a child has diabetes, it affects the entire family. Siblings might resent the extra attention that a child with diabetes gets, as well as sacrifices (like eating healthier foods at family meals or going along to doctor appointments) made to accommodate the sibling. And sometimes they’re the target of anger and resentment because they don’t have to deal with the issues that the child with diabetes faces. Family members like grandparents, aunts, and uncles also might worry about your child’s health. Try to talk openly about all of these feelings with your family. Holding a family meeting might be one way to break the news of your child’s diagnosis and address everyone’s worries and concerns. You might find it easier to talk with a counselor, your child’s doctor, or others on the diabetes health care team about these emotional issues. Also, consider looking for support groups, books, and websites about how to deal with diabetes. In time, the whole family will become accustomed to dealing with the condition. Check in with your child regularly. Try to listen to everything your child has to say before bringing up your own feelings. This kind of communication doesn’t always have to be verbal. Drawing, writing, or playing music can help kids with diabetes express their emotions. It’s important to reinforce the idea that when kids take good care of themselves and manage their diabetes, they can avoid undesirable things like extra shots or missing out on activities that their friends enjoy. Your child might even want to ask the doctor questions on his or her own.